Situated on the shores of the picturesque Inishowen Peninsula this Donegal hotel prides itself on fun packed indoor activities for children in the hotelâ€™s Planet ActiveÂ visit our Seagrass SpaÂ and get pampered or if you need something a little more energetic enjoy the leisure club complete with modern fitness suite and swimming pool. From Crana Bridge to Ned's Point past Porthaw Beach to Fr. Hegarty's Rock onto Stragill Beach - Approx 3 kilometres. With Buncrana surrounded by hills, we suggest the Urris hills or follow some of the network of bog roads, where you will experience a relaxing level of tranquillity. The Hotel was lovely.the staff could not do enough for you .the swimming pool was great.definitely would go back again. IT is a nice hotel but we were very dissapointed with our request not being given, we request room that facing the sea or other better view, but we were given a room that facing roof top, as we have two kids the hotel did not prepare an extra bed, we have to ask and was given a broken bed, my daughter had to sleep on the floor,until the second day they change the bed. the receptionist keep saying very sorry all fully booked and sorry all the time,she says seaview room we have to pay extra. Quite dissapointing, but the breakfast was very good, it is a nice hotel overall. Dated decor but clean, warm and friendly staff. Spent time in spa beautician very good at treatments and had relaxation area too ourselves! Large bar no atmosphere which was a sham but would recommend the hotel for a short break with good facilities and near all amenities. We really enjoyed our stay at the Inishowen Gateway Hotel. Most of the staff were really friendly and eager to help. The room which was pretty basic was very clean and had a lovely view of the golf course and loch. We were also able to avail of a free round of golf in the nearby golf club as part of our stay which was a nice bonus. We ate in the restaurant the first night and the waiting staff couldn't have been more helpful however we feel that the food just was n't as good as it might have been. One of us ordered the chicken caesar salad and we were unable to find a single piece of chicken in the whole dish. The helpings in general were very small and despite having ate a 2 course meal we were hungry an hour or so afterwards. The second night we thought it might be better to eat in another restaurant in the village but at the last minute we decided to eat in the bar. Again the service was impeccable but portions were too small and over priced. Overall we were very happy with our stay at the hotel and we have already recommended it to friends and family. Fantastic hotel. Great for familes. Really enjoyed our stay. Had a lovely one night stay here.Great sea view from our room.The room was clean and comfortable, breakfast was buffet style which offered a good choice.We had a light lunch in the bar and food was nice.Staff all very nice and helpful.We both had treatments in the spa which were a lovely treat, staff were lovely.Great pool ect and a good childrens pool.Over all a nice hotel with good facilities for famlies and I will return with my kids before the end of the year , Excellent value you for money. terrific value hotel.great size family room . Bar food very reasonable and good choice. Great choice of breakfast options. Great pool for adults and young kids. Lovely hotel. Great for families. Lunch in the bar was gorgeous. Food in the restaurant could be better but did not take away from our experience. Would definitely return. Accommodation, Breakfasts,main and bar meals excellent. Staff great.Location great. I would recommend this Hotel. Went here with our 2 year old. I would highly recommend to anyone with children as the hotel provides plenty to occupy them in the planet active zone.. The maids were very friendly as well as the bar staff. Would definitely visit again. the hotel itself was nice,food was ok but not great,we had our 9 month old baby with us and the kettle in the room was filty i asked twice could they change the kettle and showed her the dirty water and i was told the water was like that in buncrana even though i was using bottled water eventually i brought the kettle down when the lady changed her shift when th gentleman on the reception seen how dirty it was he apolagised and changed it straight away,if you stay here with a baby do check the kettle as if its like the one we had it could make a child very sick. 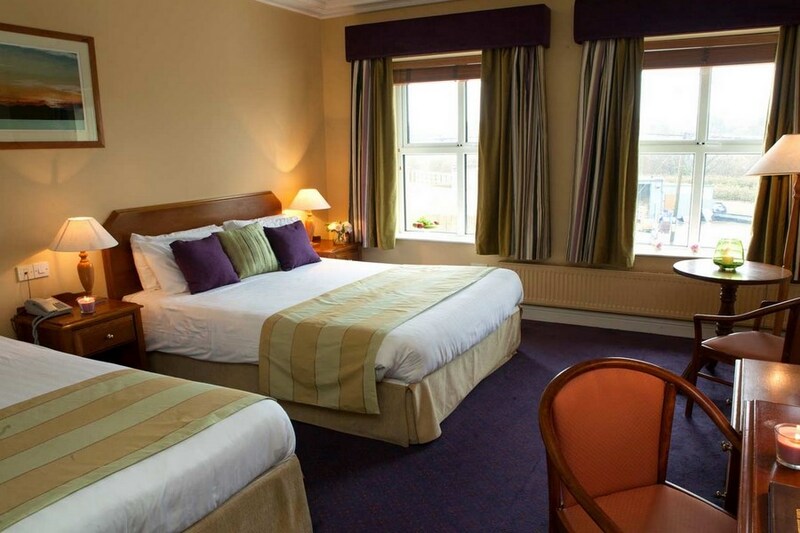 We stayed for three nights in the Inishowen Gateway Hotel over the Easter period. The hotel was in an picturesque location surrounded by pristine beaches. There was lots to do within the surrounding area with breathtaking views. 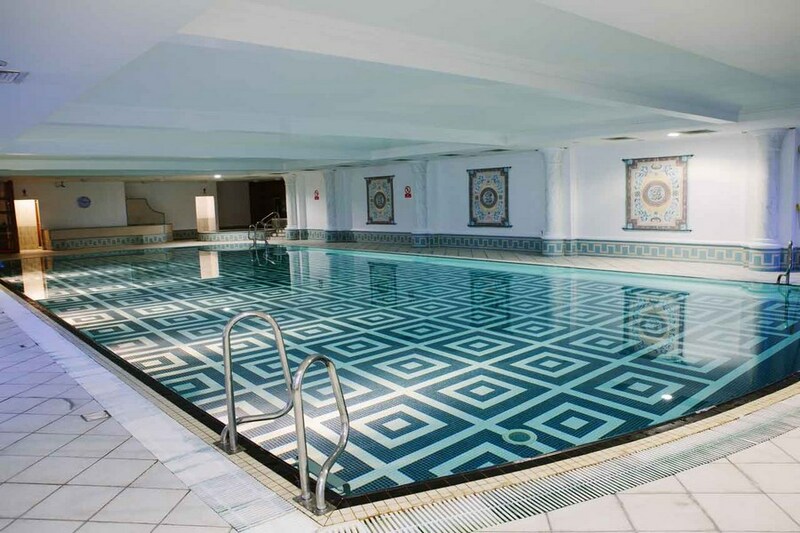 The hotel had excellent facilities for children and the pool was clean. The kids club was superb. However the food was below average with artifical 'powered ' orange juice being served for breakfast and frozen chips being served in the bar. The breakfast room was crowded with minimal staffing levels and there was a long wait to be seated for breakfast each morning. Overall if more attention were paid to the quality of food served and the presentation of food then this would have improved my overall opinion of this hotel . The hotel is clean and spacious and the staff are extremely helpful and friendly. In general an average hotel which requires updating and redecorating. There was a smell of urine in the bathroom amd the shower curtain was grotty. These details need to be attended to to order to make this a great hotel as opposed to an average hotel. We had a great long weekend in Buncrana. The hotel is very nice, and very suitable for families. The pool is big, 25m I think, good for lengths. There is a fantastic indoor play area (it's actually about the size of a large football pitch) which caters for all ages. We brought our 10 month old there and she loved it, but theres loads for anyone up to 10 - or beyond...we enjoyed a couple of quick games of table tennis and air hockey too.. Just one negative point was that a couple of friends (and child) were put in a smoking room without being asked. The food in the bar was very good and quite reasonable, and I found the staff to be very professional and mostly friendly and helpful. Brilliant value overall. I'm sure we will be back. We really enjoyed our short stay in this lovely hotel. We were greeted by friendly staff on our arrival and our room was spacious and very clean and with an excellent view as we requested when booked. The breakfast was worth getting out of bed for and all the staff were very friendly and helpful during our short stay. 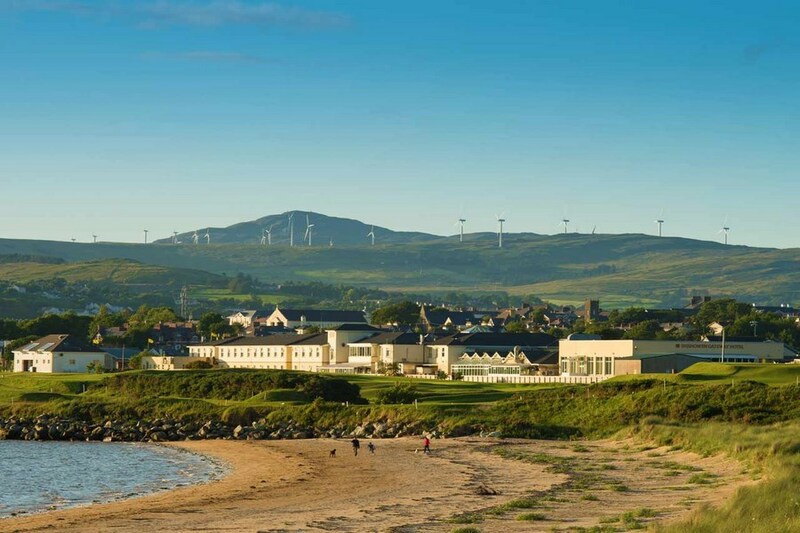 We would certainly recommend this hotel to anyone looking to stay in Buncrana. Definetly 5 stars from us.